Whether you are expanding your lab, setting up a new facility, or simply replacing outdated fixtures, there are a number of considerations when selecting laboratory furniture and casework. Investing in laboratory furniture and casework involves a deep understanding of the specific needs of the lab and the researchers that work there. However, selecting the correct laboratory furnishings can go a long way to improve workflows and enhance research. Selecting casework and fixtures for your lab goes beyond just getting the correct measurements and specifications. Before you place your order, you will need to consider a number of factors including features, materials, and durability. Full understanding how your lab space is being used today, as well as changes that might be forecasted in the future, enables lab managers and designers to select furnishings that are both long lasting and functional. Additionally, it’s wise to consider planning for maintenance and upkeep of your furnishings— lab furnishings are a valuable investment for the long-term success of your lab. When planning your layout and placement of furnishings, consider your work zones and traffic flow. Don’t place your hazardous storage in high traffic areas, and be certain to place benches and key instruments and equipment so that staff aren’t continually bumping into each other. By investing in some early strategic planning, you will avoid hassles and hazards in the future. “Flexible casework and furnishings allow labs to scale up or down as projects and staffng needs change”For some labs with fixed numbers of samples and testing requirements traditional lab setups may be sufficient. However, for most researchers, fluctuating sample qualities and changing requirements is the norm. For such labs, adopting a flexible design may be the wisest course of action. Flexible lab furniture allows you to quickly reorganize your lab and restructure your workflows at any time. These adaptable workspaces allow lab managers to quickly expand or reduce their operating size, optimizing both workflow and worker productivity. Further, the ability to move typically fixed objects such as benches, cabinets, and fume hoods is certainly more convenient and cost efficient than a full renovation. The quality of your laboratory furniture and casework is an important consideration when equipping your lab. Materials used must be appropriate for the tasks at hand, durable, and long-lasting. In many cases, your lab furnishings will be in use for a decade or more, so it’s important to consider the quality of the materials and construction prior to placing your order. Popular materials for lab furnishings include metal, plastic laminate, polypropylene, stainless steel, and wood. Metal furnishings and casework are sturdy and long-lasting, but often more expensive than more fragile plastic laminates. Polypropylene furnishings offer easy customization and high durability making it a good choice for chemical stations and acidic environments. Stainless steel’s versatility and easy cleaning make it a good choice for labs where hygiene is of utmost importance. Wood furnishings offer affordability with high visual appeal and still remain popular among academic and teaching labs. Great laboratory design has the ability to enable great research. Prior to designing or redesigning your laboratory space, it is important to fully understand how your furniture design and layout can promote productivity and efficiency. Investing in layouts and furnishings that consider both functionality and ergonomic principles will result in a more healthful and productive lab. “Great laboratory design has the ability to enable great research”Adequate lighting, instrument placement, and surface heights are all important elements to consider when designing for productivity. Furnishings that require workers to reach, bend, or stretch excessively are clearly undesirable. Ease-of-use is an important aspect of design. Researchers and technicians are often involved in solving difficult problems or engaged in focused tasks. They really should not invest their time trying to figure out how to adjust seating heights or open storage cabinets. Simple intuitive furnishings, without unnecessary embellishments or functionality, are often the best choice. 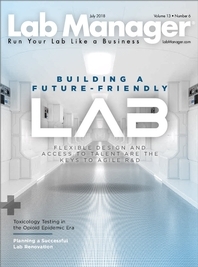 Regardless of industry, most labs today are faced with increasingly shrinking budgets. 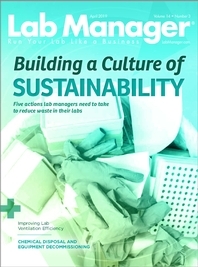 When expanding, renovating, or setting up a new lab, many lab mangers feel they need to sacrifice design, innovative technologies, or sustainability to remain on budget. However, through continuous and early cost planning, most projects can be kept within their budgets. One of the keys to success is “right-sizing” the lab. By investing in flexible laboratory furnishings, labs can scale up or down easily as projects and staffing requirements change. Before doing a 100% build-out to include specialty lab space, it’s often prudent to simply start with infrastructure (power and utilities) and grow into the space as needed. Adding flexible casework and workstations is a simple task, and suppliers like Fisher Scientific have in-stock inventories with their Fisherbrand™ quick-ship options to avoid incomplete shipments and unnecessary wait times. Fisherbrand™ lab furniture offers a comprehensive line of casework, shelving systems, lab workstations, and more.